• September 1985: Zuni bluehead sucker first identified as a candidate for endangered species status; Fish and Wildlife Service does not have enough data to support listing. • February 1996: Service drops all "category 2" species, which includes the sucker, from consideration for listing. • October 2001: Sucker is again made a candidate,but it is behind other higher-priority species. • May 2004: Center for Biological Diversity petitions for the sucker to be listed. • January 2013: Government proposes listing the sucker and designating critical habitat. • March 2013: Comment period ends for listing proposal. • January: Government extends the timeframe for a final decision by six months. • July 24: Zuni bluehead sucker determined endangered and protected under the Endangered Species Act. 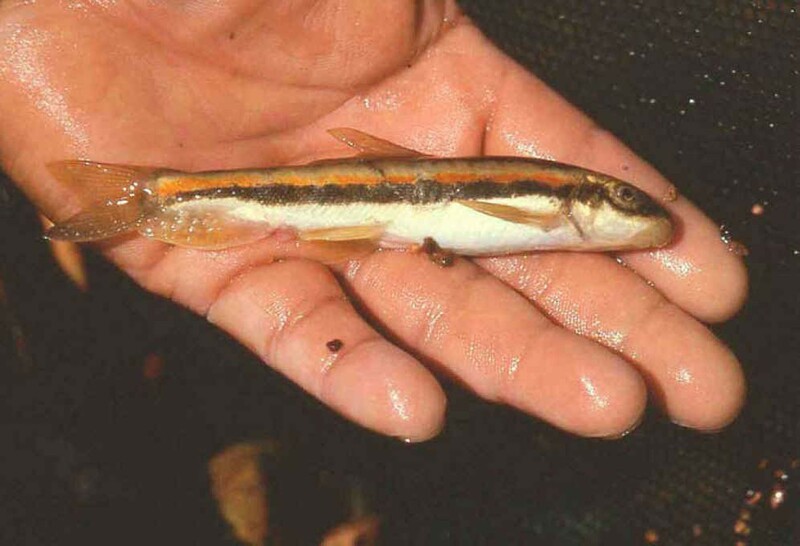 WASHINGTON – A fish found only in the Little Colorado River watershed in Arizona and New Mexico was declared an endangered species Thursday by the U.S. Fish and Wildlife Service. The Zuni bluehead sucker was once prevalent in the watershed but has seen its numbers fall sharply, with conservationists saying it has been pushed to the brink of extinction. “It is a tremendous relief for the fish to get the protection it needs,” said Michael Robinson of the Center for Biological Diversity, which petitioned Fish and Wildlife 10 years ago to protect the fish. The listing does not officially take effect for a month, and the government must still rule on a proposal to declare 293 miles of stream as critical habitat for the fish. That decision is expected by the end of the year. Those threats include loss of water – from drought and human activity – as well as logging and livestock grazing, according to the Fish and Wildlife listing. In years past, the sucker was also threatened by the use of chemicals that were meant to remove green sunfish and fathead minnow so that rainbow trout could be introduced for sport fishing. The Zuni bluehead sucker has a bluish head and a silvery-tan to dark green torpedo-shaped body. They typically do not exceed 8 inches in length. The fish feeds on algae that it scrapes off of rocks and plants and requires clean, flowing water. Silt can smother their eggs. Zuni bluehead suckers live in small, isolated and semi-isolated populations, which can lead to inbreeding and lower chances of survival. The government estimates that the distribution of the suckers in New Mexico shrank by 95 percent over the last 30 years. The decrease in Arizona populations is unknown. Endangered species status means that landowners will have to consult with biologists before taking any actions that could affect the suckers, said Tom Buckley, a Fish and Wildlife Service spokesman. Fish and Wildlife is in the process of developing a recovery plan for the Zuni bluehead sucker, but is already “actively protecting” the fish, said Melissa Mata, a biologist at the service. Mata said the service has been working with tribes and private landowners to ensure that the suckers are being protected. “We’ve been keeping them well informed,” she said of potentially affected landowners. Robinson is looking forward to seeing the implementation of a recovery plan, but recognizes that there are challenges. The U.S. 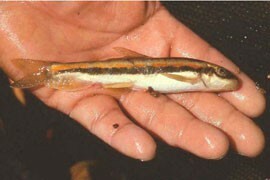 Fish and Wildlife Service has declared the Zuni bluehead sucker an endangered species. The fish is found only in the Little Colorado River, in just a fraction of its historic range in Arizona and New Mexico.